Explore Barocci's personal and artistic life with our experts. The road to rapture: Hear about the life and times of Federico Barocci. Find out about his brush with death in Rome as the curators of the exhibition Barocci: Brilliance and Grace trace the artist's journey from his birth in Urbino through to his return home, and the creation of the masterpieces that have placed him firmly within the canon of art history today. Nicholas Penny: Federico Barocci was definitely one of the most highly regarded painters working in Italy towards the end of the 16th and in the very first years of the 17th century. Carol Plazzotta: Nobody's ever heard of him, and yet he is one of the world's greatest colourists and one of the greatest draughtsmen that there have ever been in the history of Italian painting. Judith Mann: He was a wonderful innovator and he always has an original take on things. So they’re really beautiful and they’re very intellectually interesting, as well. Federico Barocci was born around 1533 in Urbino, a north-eastern city not far from Venice. 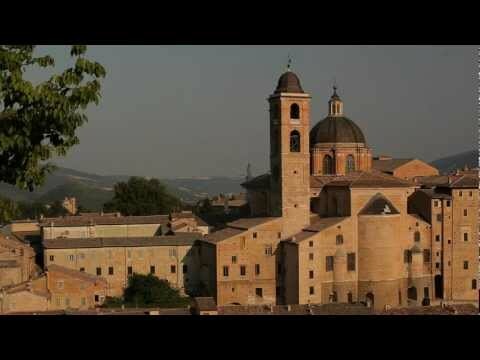 Urbino had been a major court centre under the Montefeltro family. It really flourished and became a real centre for erudition, for mathematics, for major artists that came to that court. So by the time he was in his twenties, he had had exposure to a number of artists in the tradition of Raphael and the tradition of Titian. Federico Barocci certainly had an affection for the Duke Francesco Maria della Rovere. Carol Plazzotta: The Duke was a very pious and intellectual man. He amassed a vast library in his later life and also wrote deeply. Judith Mann: He went to Rome in the 50s and he went again in the 1560s. But, according to his biographer, he was poisoned. There are various interpretations as to whether he was actually poisoned. I personally think he probably was. He retreated, and so from the mid-1560s till the end of his life, 1612, he lived and worked in Urbino. Carol Plazzotta: Barocci and his family lived in the heart of Urbino. Visible from the top windows of his own house, Barocci could see the Palazzo Ducale. He often included that view in the background of his pictures. Judith Mann: When Barocci returned from Rome, he made his first real altarpiece, his 'Martyrdom of Saint Sebastian'. The palette is dazzling. It is a dynamic altarpiece. It certainly involves you as you go in and you see the archers there and their dynamic poses and to me that’s one of the great things that Barocci does. There is such inherent dynamism in so many of his figures that it really does point toward that explosive drama of the 17th century that we call Baroque. Nicholas Penny: He’s a painter who’s very, very interested in making things real. His concern is to make things more graceful without departing from real anatomy, the structure of the human body and a plausible pictorial space. And he does this both by the flutter of drapery, the compositional lines, and he does it by colour. Colour, I think, is largely something which he invents and he thinks of in, if you like, musical terms. Judith Mann: As we go on in his career, Barocci experiments more and more with the use of illumination. He does it in his 'Stigmatization of Saint Francis', where he hones in on the idea of the flooding of light, almost palpable light, that washes over the figure of Saint Francis, and you can almost feel it. Nicholas Penny: With his altarpieces, he really did want people to be transported out of themselves. He would have been very pleased by the idea of people actually forgetting themselves completely, as they did with certain types of divine music, in front of his pictures. The idea of transport, of you being enraptured, that is absolutely what Barocci is about. The great perfectionist: see how Federico Barocci's preparatory drawings and oil sketches reveal as much about the nature of the artist himself as they do about the subjects of his paintings. Hear more from Carol Plazzotta, curator of the exhibition Barocci: Brilliance and Grace, and discover how this impressive draughtsman's deep obsession with mastering tone, form and harmony even to the adoption of some rather unusual painterly techniques. Carol Plazzotta: Barocci is one of the world’s great draughtsmen. He drew obsessively. Bellori, his biographer, tells us that he was always around town with sketchbook in hand. And if he saw a face, or an expression even on a face that particularly inspired him, he’d immediately get out his notebook and start sketching. And then if he was really interested, he’d invite his model back home to pose so that he could go into even more detail. There was a great kindliness in the way that he looked at the world. Even when he had a model in front of him, he would ask the model to assume a pose that was, first of all, served his purpose – the narrative – but then he would check with the model whether the pose was comfortable, so that it could be more natural. Always, he was in search of the natural. 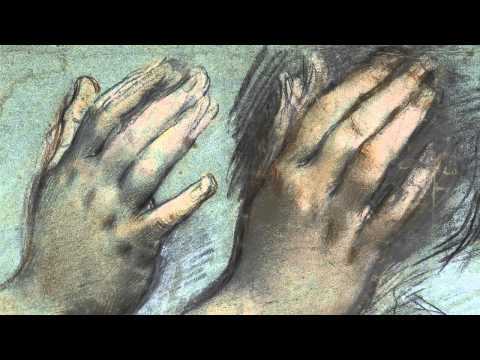 It's extraordinary, for example, how many drawings there are of hands, feet, heads, even fingers. Barocci would experiment endlessly with the poses. He would start from one pose, flip it around, and then zoom in to a detail, then further in. Nothing was left to chance. We learn so much about his pictures from his drawings. By looking at them, we can reconstruct, step-by-step, exactly all his thought processes and technical processes of how he put together a composition. He was, it has to be said, a great perfectionist. He spent most of his time on the preparatory process. Then apparently he painted very, very quickly, using his fingers all the time, smudging here and there and bringing everything into this wonderful tonality and harmony – composing his tunes. Down to earth: How was Federico Barocci able to humanise the divine? Discover the sincere devotion behind the religious works that feature in the exhibition Barocci: Brilliance and Grace, and the artist's ability to both exalt and entertain. 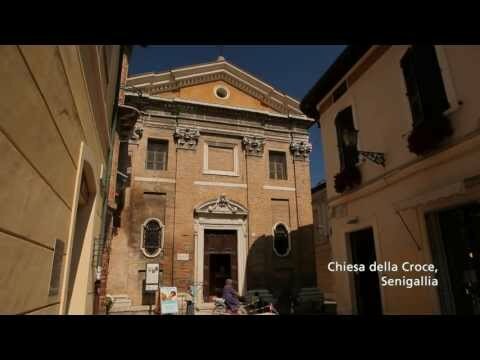 Hear from Director Nicholas Penny and curators Carol Plazzotta and Judith Mann, and take a trip to the artist's hometown, Urbino. Judith Mann: Certainly, there is an utter devotion that comes across in Barocci’s altarpieces. Carol Plazzotta: He was a very devout man himself. For him, there was no separation between his art and devotion. Judith Mann: When one looks at either the theological debates of the time or the biblical accounts of these stories, one is impressed with how closely he adheres to these very complicated, sometimes sophisticated, ideas. But he couches them in the everyday. Even though his specific figures are highly idealised, he sort of gets the way people behave. Barocci’s 'Madonna del Gatto' presents a very young, youthful Virgin Mary. She’s rather smiling, rather vulnerable, she’s in the act of nursing her young baby. There is something so serenely domestic about it. Nicholas Penny: The one thing he really excelled at was making the sacred look really agreeable and pleasant, and convincing as something that was above our world. It was sacred; it was more beautiful, more heavenly than anything we could understand. Judith Mann: One of the features that makes the 'Madonna del Gatto' particularly enchanting is the reference to the architecture of the Ducal Palace, and that’s the little window seat or bench with its slightly flaring leg. Carol Plazzotta: Barocci included objects from the real world in these very mystical pictures as a way of bringing them down to earth. Introducing things with which people were very familiar, like earthenware pots, and of course he caught every nuance of the glaze across its surface. He often included little 'tableaux vivants' in the foreground, even of quite a dramatic scene like the 'Entombment'. There'd be a rock with the pliers and the nails, all done with this wonderful sense of naturalism and tactility. Always the tactile so that you almost feel you could go and pick them up yourself. He often introduced animals into pictures as a kind of light aside from the deep impact of the Gospel. And I think this sort of love of animals, and children as well, was all very much part of Barocci's very, kind of, humane nature. He loved to animate his pictures with these things that he himself had glimpsed in everyday life. Time for Barocci: This February sees the arrival of Federico Barocci’s charming masterpieces – never before seen outside Italy – for the exhibition Barocci: Brilliance and Grace. But who was the enigmatic Barocci? Join Director Nicholas Penny and exhibition curators, Carol Plazzotta and Judith Mann, as they reveal more about the celebrated late 16th-century Italian artist, the scope of his talent and imagination, and the universal appeal of his religious subjects. Nicholas Penny: Federico Barocci was one of the most highly regarded painters working in Italy towards the end of the 16th century. Carol Plazzotta: Nobody’s ever heard of him, and yet he’s one of the world’s greatest colourists. Judith Mann: It really almost flickers on the wall when you see it. Nicholas Penny: Just have a look at that drapery going across the bottom of the painting of the 'Madonna del Gatto'. I mean, just an abstract passage of paint. It’s just amazing. Carol Plazzotta: It’s the kind of thing that puts a frisson up your spine when you see it in the flesh. Nicholas Penny: It’s time. It’s time for Barocci.